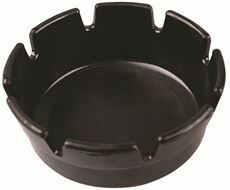 Renown black round ash tray made of heat resistant plastic and deep wells for added safety. 4 inch diameter x 1-3/4 inch deep. Receptacle's stainless steel extinguishing screen and galvanized steel liner ensure safe cigarette disposal. Keyed cam lock prevents unauthorized opening. Material(s): Stainless Steel; Color(s): Black; Shape: Square; Finish: Powder Coat. The Rubbermaid� Commercial Metropolitan Smokers Station meets the need in the market for efficient cigarette litter management. 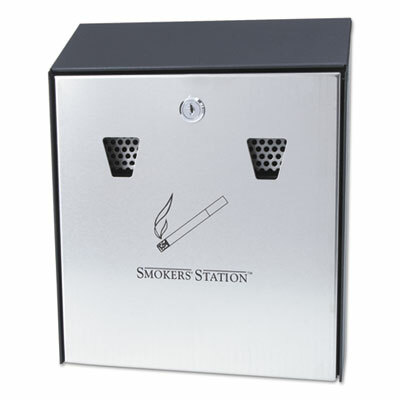 The station's slim metal Smokers Station offers a contemporary look. 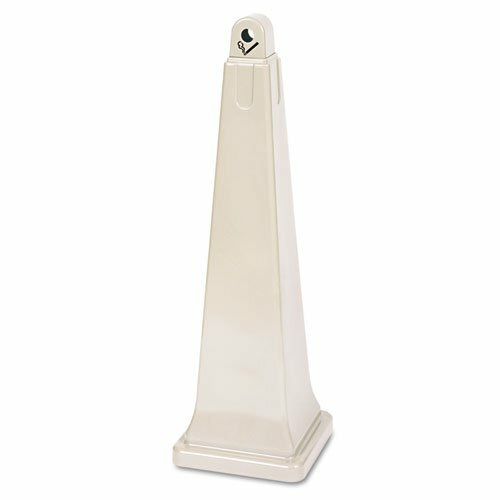 The ash urns feature weather-resistant Uni-Koat powder coating finish. Receptacles are easy to empty with removable, galvanized liner. The stable, weighted, locking units have a bolt down option to prevent theft, pilferage, and tip-overs. 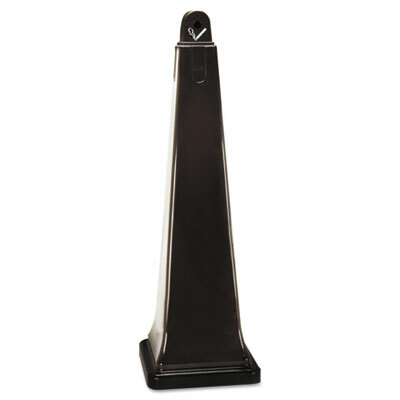 Capacity (Volume): 1.6 gal; Material(s): Metal; Color(s): Black; Shape: Tower. Here's a sleek, efficient way to control smoker waste. Restricted opening hides butts, controls unwanted deposits, reduces oxygen flow. Weather-resistant design cleans easily, needs no sand. 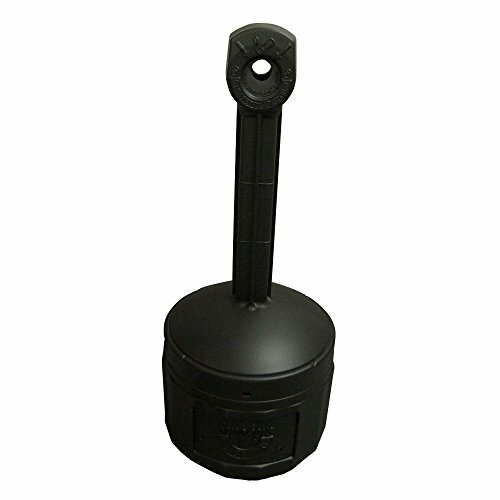 Molded plastic exterior, galvanized steel interior canister, stainless steel base. Material(s): Plastic; Steel; Color(s): Brown; Shape: Pyramid; Finish: Smooth Molded Plastic. 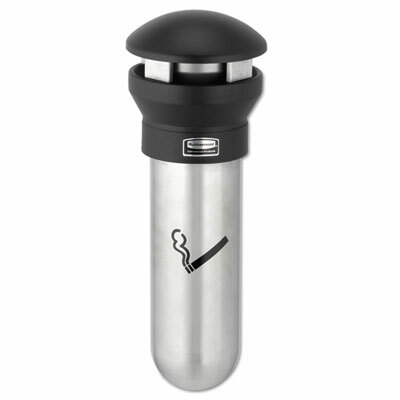 The Rubbermaid Commercial Steel Smoking Urn is a round, powder-coated, steel receptacle with a removable aluminum ashtray top that can be filled with sand for cigarette disposal. The powder-coated finish resists scratches, chipping, fading, and other wear. Vinyl trim along the ashtray helps keep hands from getting scraped. This product meets the Americans with Disabilities Act (ADA) 2010 standard for accessible design. 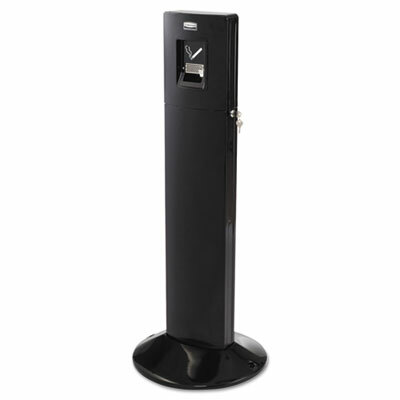 Capacity (Volume): 3 1/2 gal; Material(s): Steel; Color(s): Black; Shape: Cylindrical. 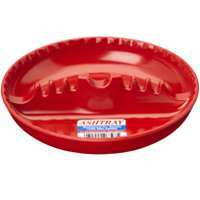 Select a sleek metal ashtray to create convenience for your patrons. Silvery ashtray helps create an upscale presentation for sophisticated surroundings. 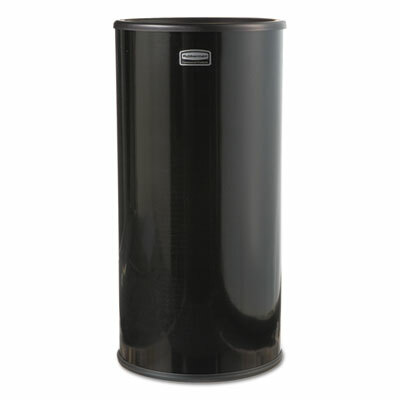 Designed for use with Rubbermaid� Commercial classic smoking urns (sold separately). Also conveniently wall-mountable. Easy to empty and easy to clean. Material(s): Metal; Color(s): Silver; Shape: Round; Height: 2 1/4". Sophisticated, eye-catching design will prompt use, meaning fewer cigarettes will end on your building's grounds. 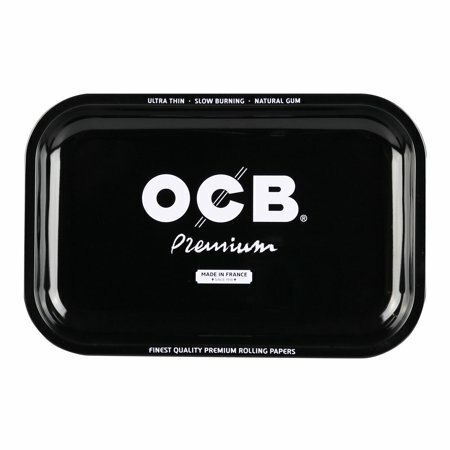 Features domed top for weather resistance and stainless steel snuff plate to eliminate smoldering. 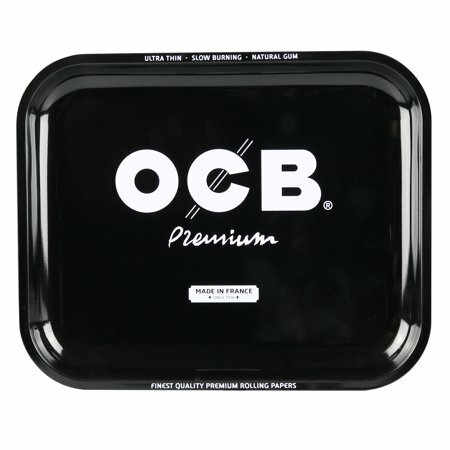 Guide tabs on collar and base make quick work of emptying without touching cigarettes or tarred surfaces. Capacity (Volume): 0.600 gal; Material(s): Stainless Steel; Color(s): Stainless Steel/Black; Shape: Cylindrical.